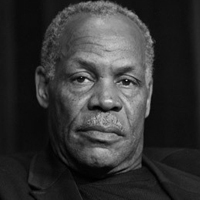 Danny Glover combines his acting career with a dedication to the common good. He is well-known for his film and television works, including the Lethal Weapon series, Beloved, To Sleep with Anger, and Freedom Song. He serves as a goodwill ambassador for the United Nations, works on behalf of AIDS victims in the U.S. and Africa, and helps a wide range of organizations advance the causes of civil rights and economic justice. June 30, 2018: Danny Glover: The Real News Is Yours. Engage It. April 6, 2018: Danny Glover: The Real News Is Yours. Engage It.